This beautifully printed full color certificate is the perfect item for a ULC Minister to present to a couple to commemorate their vow renewal ceremony. Often when a relationship becomes strained or stale a couple will seek to reaffirm their love for each other with a ceremony. This ceremony can be a great way to help them to re-commit and strengthen themselves and each other in their love. 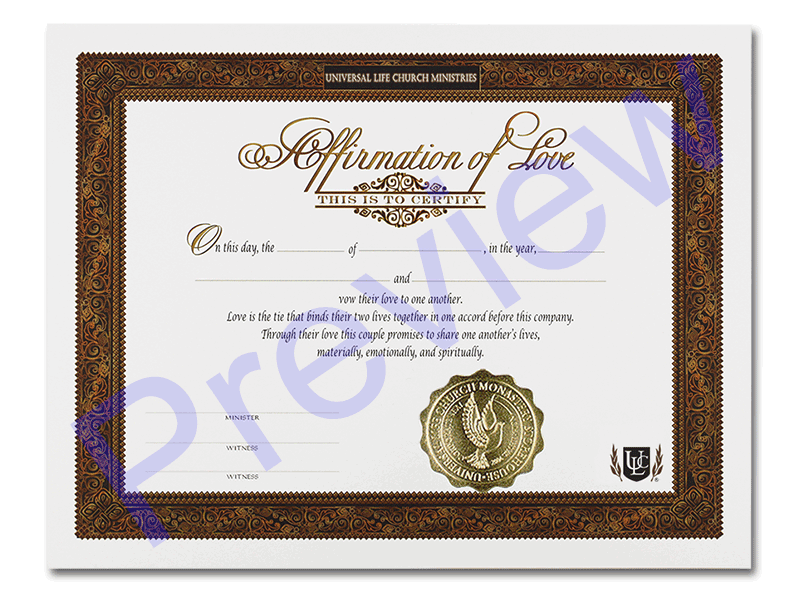 Use this beautiful Love Affirmation Certificate to commemorate the day for the loving couple.